Back in the vintage era people were enamored with apples. It shows in all the vintage cookbooks I have since there are so many apple based recipes. It makes sense however since no fruit stores better than an apple. They get a bit sandy textured when they have been barreled which makes them unsuitable for eating out of hand, but they are still perfectly usable in recipes. 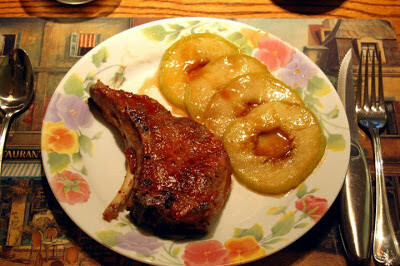 This was one I did with some BBQ pork chops awhile ago and is quite easy to prepare. Wash and core (and peel if desired) the apples. Slice into slices 1/4" thick and sprinkle with lemon juice. Dip each slice into brown sugar an place on a plate. Heat frying pan on medium heat and add 1T butter. When butter is hot place apple slices in pan and fry about 2-3 mins a side. The sugar will come off and form a caramel sauce so don't let it burn, lowering heat as necessary. When serving drizzle some sauce over the cooked apple slices. I've been doing some housekeeping on the Facebook Page for The Vintage Recipe Blog and in looking at the notes section I found a few recipes that I had posted there in order to cross merchandise the Facebook Page for the blog so to speak. It's mostly sauce recipes but I feel they need a home here on the blog. First up is Remulade Sauce, a Creole version of Tartar Sauce but in reality it's an unfair comparison since Remulade is so much better. It can be served with most seafoods or used as a condiment for Fried Green Tomatoes. Stir well and refrigerate 1 hour. This ad was a gem of a find because all the previous Monsanto Ads that I have found dealt with the manufacture of Bakelite. 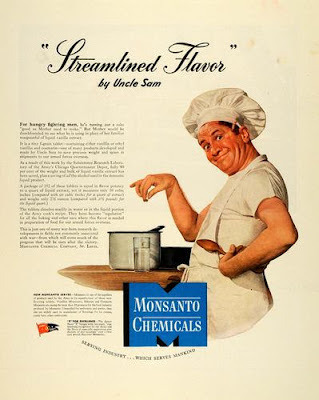 This was the first ad I could find that dealt with food and I can only imagine that Monsanto took up the mantle of of chemical food production as a part of the war effort. Unfortunately this set them on the path to eventually making the GMO foods that people are only just now waking up to. The artwork is the typical goofy chef guy throwing a pinch of something in a pot, it's only after you read the ad that you discover what an unhealthy substance this is. Honestly the look on his face is disconcerting, like he's trying to hold in a fart or something. Also, heath departments were rather lax in the vintage era because the cigarette over the ear would never pass muster today. I'm not so sure about this ovenized ham. Is this anything like parkerizing or vulcanizing? Sounds like my ham is going to be given an indestructible plastic surface. Better yet no parboiling is needed! 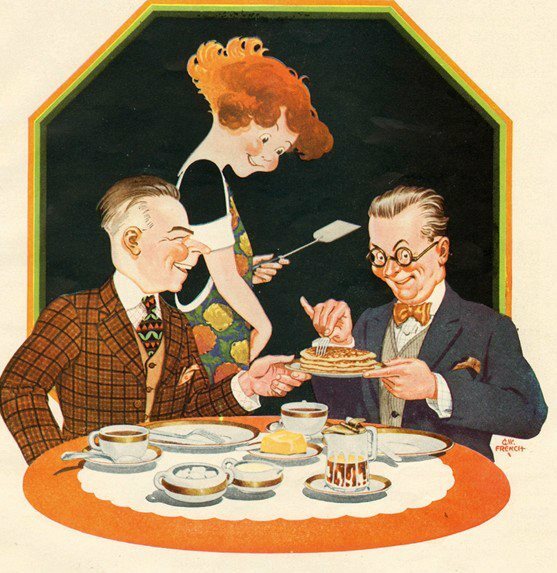 This ad makes little sense unless you know a little food history. Prior to this time, hams were "country style" in that they were salted and cured in a smokehouse yielding a very salty, dry ham. You had to soak the ham in simmering water (parboiling) to basically reconstitute it and remove the excess salt before you could eat it. The ham in this ad however is ovenized which was Swifts early name for a ham being smokehouse cooked after watercuring. It's exactly how hams are treated today before sale unless you buy country ham or Virginia ham. Of course hams don't have that lovely rind of fat anymore thanks to the prevalent anti-fat mood championed by the food Nazis. The cooking instructions on the bottom right suggest serving with spicy cauliflower. What is spicy cauliflower you might ask? 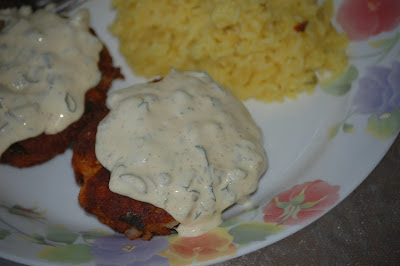 I'm glad you did because apparently it's cauliflower topped with tartar sauce. Oh my we're really in the culinary fast lane now, maybe next month we can try 1 drop of Tabasco in a soup? Maybe after eating all that spicy cauliflower mom and dad will feel a little frisky and do it with the lights on. There's quite a few recipes out there for corn chowder and in the main I think they're just bland. This recipe is based on couple of the more interesting ones I've found with a few added twists all my own. 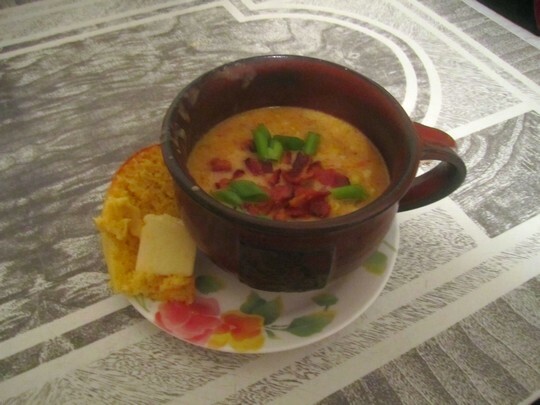 While not exactly vintage, corn chowder has been around since at least the 1800's. 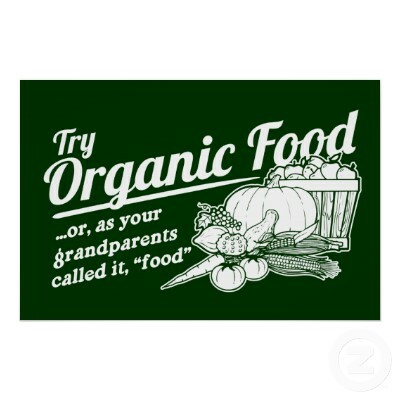 What sets my recipe apart is the use of organic and fresh ingredients as opposed to frozen or canned. Prep all ingredients then in a heavy bottom 6qt pot heat on stove over med-high heat. Cook chopped bacon until crisp then remove with slotted spoon reserving fat in pot. Add corn kernels and saute until slightly browned. Remove sausage from casings and add to corn, breaking up with spoon. Fry until browned then add Pepper, Onions, Garlic and all spices. Cook about 5 mins until onions are translucent. Sprinkle with flour and cook a few minutes more stirring constantly. Add in chicken stock and stir well then add milk. Reduce heat and simmer uncovered 20 minutes until thick. Serve in bowls topped with bacon pieces, sliced green onion and if desired, some grated aged white cheddar. Note: For the Italian sausage try to get it at a butchers like The Fresh Market or another reputable dealer. Standard Italian Sausage sold in the grocery store is of questionable quality. 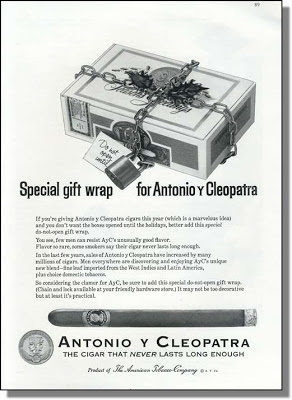 In the wide wide world of drugstore cigars Antonio y Cleopatra is unquestionably one of the better ones available. Yes it's a machine made cigar but with a pedigree stretching back to the founding of the company in 1879. 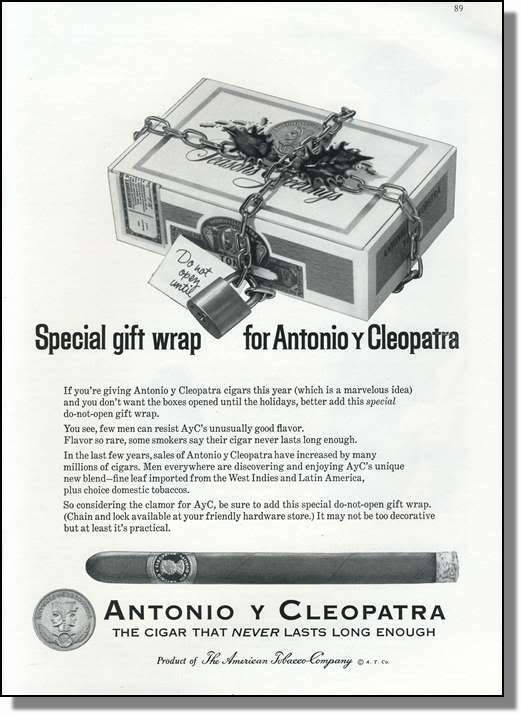 Originally handmade in Cuba they were forced to move like so many other cigar makers after Castro's nationalization of the cigar industry. 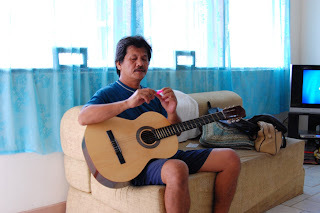 Today they are made in Cayay, Puerto Rico and still are a great value in the wilds of the brands available in drugstores. Certainly easier to find than cheap avo cigars.